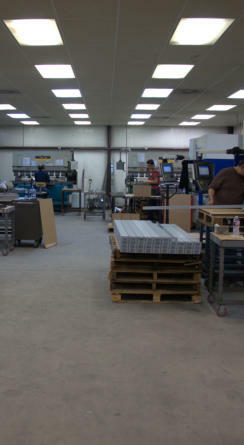 PI-CO Precision Fabrication is a complete precision sheet metal fabrication and manufacturing facility. We supply precision sheet metal parts for customers in electronics, telecommunications, computers, medical, food service and the transportation as well as assembly operations. PI-CO's emphasis is on precision metalwork. .
PI-Co has grown mostly by word of mouth from satisfied customers. We do not make promises we cannot keep and are constantly monitoring, and purchasing when needed, new equipment to stay on the cutting edge of technology. This is reflected in our quality, delivery and prices. PI-CO’s latest acquisition is one of Trumpf’s state of the art 3000 Watt Fiber Optic lasers.